In the event of an accident, there are many key factors which influence the costs which can vary for those involved in a crash. Though, being involved in a crash is a cause for a worry to many motorists, the actual costs vary from one situation to another. According to the National Highway Traffic Safety Administration, in the United States alone there has been a 5.3% decline in accident rates between the years 2008-2009. While on one hand, this could mean some good news, the scenario is still quite scary with around 5.5 million crashes during the same period. 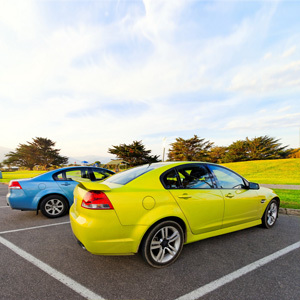 Motorists need to be aware of how it could affect their finances with regard to their auto insurance rates and one has to take a closer look at other details. Firstly, who was at fault? Thirdly, if the motorist who is the policy holder, has been involved in crashes prior to this within the last three years. If the policyholder is not at fault, there will be no increase in rates. But it is always better to check with their agencies to see if it can still affect the rates. However, if the policyholder is found to be at fault, he/she could lose discounts that would have been extended by the insurer for good driving practices. The damage related costs vary from state-to-state and between auto insurance companies. While Californian Law takes into account incidents wherein the damages are around $750 to determine the policyholders safety records in order to be eligible for a good-driver discount. Whereas, in North Carolina rates may be affected vis-à-vis damage to property and if damages were $1500 or below, then it would not be considered a moving violation. Also, no other licensed motorist in that household should have violated or had at-fault crashes within that period. In spite of all this sometimes, even if the policy is valid, in some cases it may not meet the country’s basic requirement. While in some other cases, the policy may or may not apply when you drive to other countries neighboring the United States. So it would be worthwhile to check with the insurer, prior to travel, to see if the policy cover is applicable in Mexico, Canada, or countries south of Mexico etc. However, auto insurance can be purchased on either side of the border in case you find yourself underinsured for a particular country.